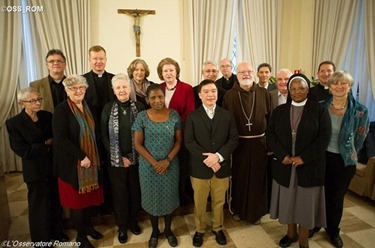 Last week, I spent several days in Rome, where we had our second plenary session of the full Pontifical Commission for the Protection of Minors. We have representatives from all of the continents and this is the second time we’ve come together. It was a very productive meeting. 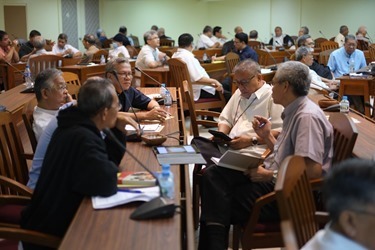 The members spent a lot of time working on their respective projects between the meetings and have also been available to address different bishops’ conferences. 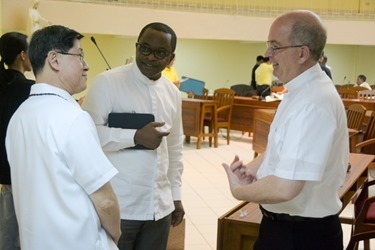 One of the most successful of those meetings was held this summer in the Philippines, where practically the entire hierarchy of the Philippines met with our commission member from the Philippines, Gabriel Dy-Liacco, along with Monsignor Oliver and Father Hans Zolliner, who gave an extended presentation on child protection policies. One of the outcomes of the meeting was the establishment of an office of child protection by the bishops conference there. I have also received an invitation to address all the bishops of Central America, which I will do next month. Our commission member from Colombia, Father Luis Manuel Ali Herrera will accompany me and Msgr. 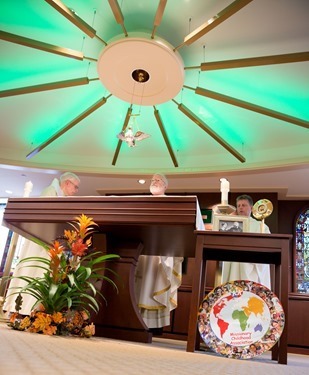 Oliver to speak with the bishops of El Salvador, Guatemala, Honduras, Costa Rica and Panama. 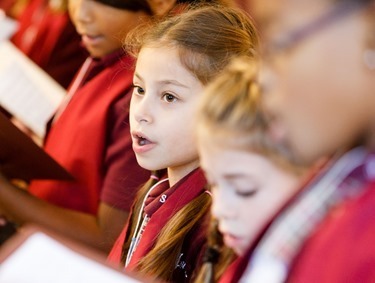 Certainly, this type of outreach is a very important aspect of the work of the commission and we have contacted all the bishops’ conferences to establish a contact person with whom we can interact. 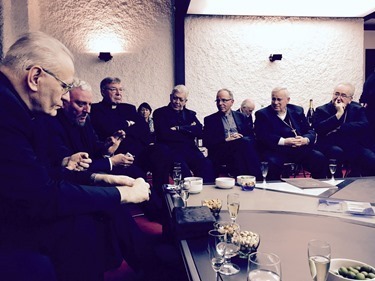 Our function is to help advise the bishops’ conferences, encourage them, share resources with them and to make recommendations and we are very gratified that the conferences are beginning to respond in such a positive way. 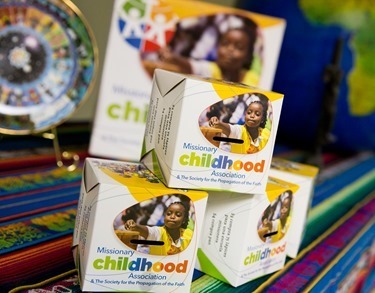 We know that in many parts of the world the whole theme of child protection is something that has not been discussed much in the past, so this is an opportunity to raise consciousness and help the Church throughout the world to work for the safety of children in their own countries. 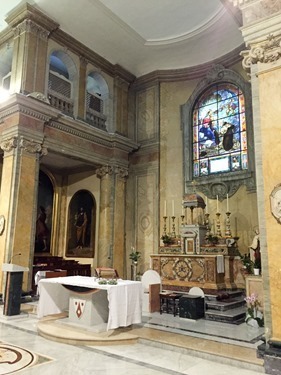 We held our meetings at the Carmelite Friars’ guesthouse in Rome, the Domus Carmelitana. 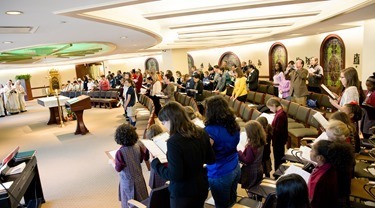 While we were there, we participated in their community Mass on Sunday in their beautiful chapel, which I celebrated. 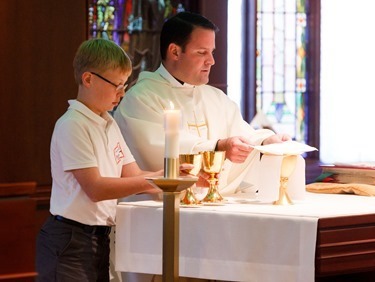 The only other time I had celebrated Mass in that chapel was several years ago. I had been asked to team-preach a retreat for the entire community of the Franciscans of the Eucharist with Cardinal Joseph Ratzinger. But between the invitation and the retreat, he went and got himself elected pope, so I had to give the retreat by myself! It was a very productive meeting. We are very grateful for the generosity and committed spirit of all the members of the commission, all of whom are passionate about the importance of child protection. 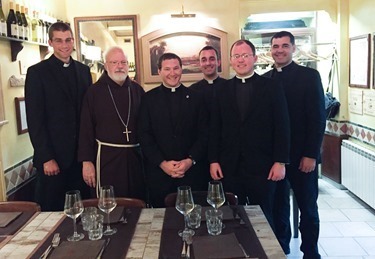 While I was in Rome, as I always like to do, I had dinner with our seminarians studying there. We were also joined by a seminarian from Washington whose parents and grandparents are very close friends of mine. When I was first ordained, his grandparents were a young family participating in an organization called the Teams of Our Lady. I was chaplain for these teams, and we had about six couples — but the average number of children among them seemed to be about 10 per couple. 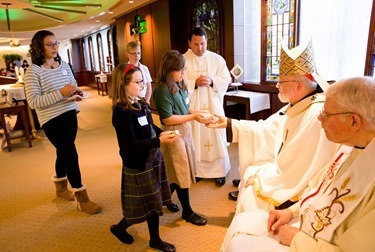 I have always been impressed by how many vocations have come from those families. 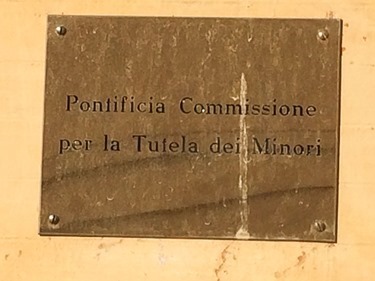 On Monday, a number of cardinals, including myself, were invited by Kiko Argüello, one of the initiators of the Neocatechumenal Way, to a meeting to update us on a recent encounter for Jewish and Catholic leaders held at the Domus Galileaea in the Holy Land to mark the anniversary of Nostra Aetate. 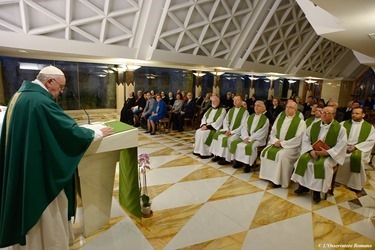 They showed us some recordings of some of the remarks given there and all of the cardinals were very moved by what we saw of the encounter, particularly that so many rabbis from different branches of Judaism were present. 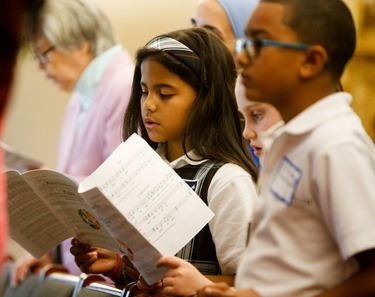 This is the 50th anniversary of Nostra Aetate and hearing about this encounter took me back to the concert of the Suffering of the Innocents here in Boston. At the time, I was struck by how many rabbis were a part of the concert at Symphony Hall. I am very gratified that the Neocatechumenal way has been so successful in reaching out to the Jewish community, particularly by stressing our own Jewish roots and this is had a great resonance within the Jewish community. On Tuesday, we gathered at the Boston College Club for a fundraiser to benefit the Irish Pontifical Irish College, which was founded back in the 1600s. It is where St. Oliver Plunkett, Blessed Abbott Marmion and many other great Catholic figures have studied. 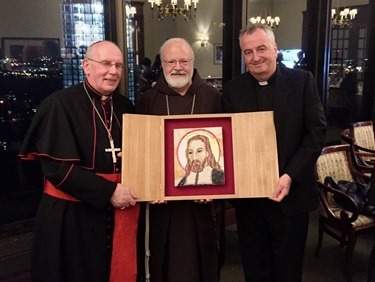 We were very honored to have Cardinal Seán Brady with us for the event and he presented me with a beautiful Father Rupnik mosaic of St. Oliver Plunkett. 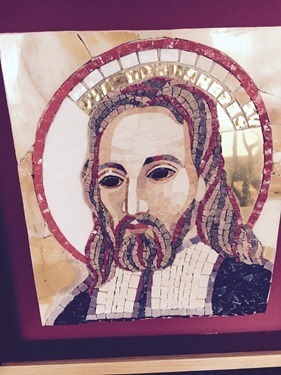 I was very happy to tell all of our Irish friends that I was actually at the canonization of Oliver Plunkett in 1975. 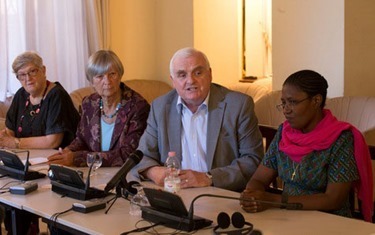 It was a glorious event and I met so many Irish people who had come to Rome for the occasion. I also mentioned that, in London, I have celebrated Mass for the cloistered nuns at Tyburn. They have relics there, but the amazing thing was to learn how, when Oliver Plunkett was condemned by the British and they marched them down Oxford Street to Tyburn Hill to hang, draw and quarter him, all the Irish in the area came to accompany him, playing bagpipes, throwing flowers and singing hymns. That was the last execution related to the Popish Plot, because the British realized they were becoming quite counterproductive! I also explained to them that recently I had been the papal legate to the celebration of 450th anniversary of St. Augustine, Florida. I told them how, 450 years ago, the King of Spain sent Irish priests to St. Augustine to establish the first parish in what is now the United States, and that part of the anniversary celebration was a dinner to honor the priests from Spain and from Ireland who have worked in America, particularly in Florida. There have been 4,000 Irish priests who worked in the United States in our history. So, we owe a great debt of gratitude to the Irish seminaries and this is why we were so happy to host this fundraising dinner here in Boston which also, of course, has such strong Irish connections. 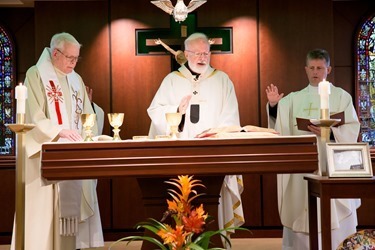 Finally, yesterday I was very happy to celebrate Mass for the Missionary Childhood Association, which is one of the Pontifical Mission Societies in the archdiocese, who were holding their Mission Education Day at the Pastoral Center. 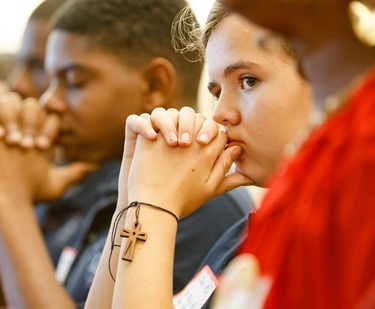 The gathering brought together young people from different parishes and Catholic schools who have worked with the association to raise awareness of the missions. 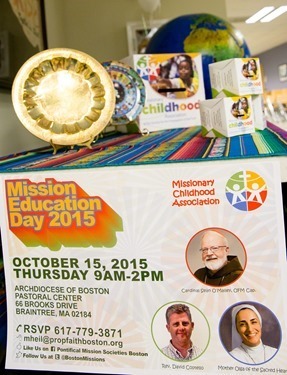 One of the important themes of the pontificate of Pope Francis is that we are all called to be missionary disciples. 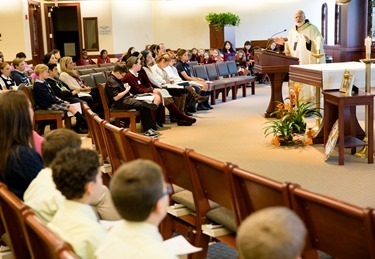 This Mass was held to encourage our young people to embrace this aspect of our vocation, to feel a part of the Church’s mission and to be actively engaged in supporting the evangelization efforts of the Church throughout the world. 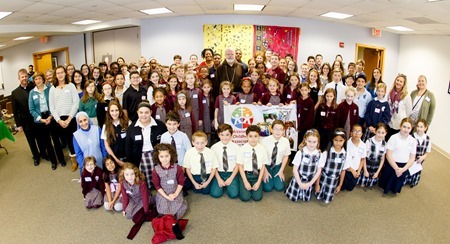 We are so grateful to Father Rodney Copp, Maureen Heil and all the staff at the Pontifical Mission Societies for their remarkable work in organizing this very important day for our young people.